Electrodes containing porous graphene and a niobia composite could help improve electrochemical energy storage in batteries. This is the new finding from researchers at the University of California at Los Angeles who say that the nanopores in the carbon material facilitate charge transport in a battery. By fine tuning the size of these pores, they can not only optimize this charge transport but also increase the amount of active material in the device, which is an important step forward towards practical applications. Batteries and supercapacitors are two complementary electrochemical energy-storage technologies. They typically contain positive and negative electrodes with the active electrode materials coated on a metal current collector (normally copper or aluminium foil), a separator between the two electrodes, and an electrolyte that facilitates ion transport. The electrode materials actively participate in charge (energy) storage, whereas the other components are passive but nevertheless compulsory for making the device work. Batteries offer high energy density but low power density while supercapacitors provide high power density with low energy density. Although lithium-ion batteries are the most widely employed batteries today for powering consumer electronics, there is a growing demand for more rapid energy storage (high power) and higher energy density. Researchers are thus looking to create materials that combine the high-energy density of battery materials with the short charging times and long cycle life of supercapacitors. Such materials need to store a large number of charges (such as Li ions) and have an electrode architecture that can quickly deliver charges (electrons and ions) during a given charge/discharge cycle. A new company Tenka Energy, LLC ™ has been formed to exploit and commercialize the Next Generation Super-Capacitors and Batteries. The opportunity is based on Nanoporous-Nickel Flexible Thin-Form, Scalable Super Capacitors and Si-Nanowire Battery Technologies with Exclusive IP Licensing Rights from Rice University. … Problem 1: Current capacitors and batteries being supplied to the relevant markets lack the sustainable power density, discharge and recharge cycle and warranty life. Combined with a weight/ size challenge and the lack of a ‘flexible form factor’, existing solutions lack the ability to scale and manufacture at Low Cost, to satisfy the identified industries’ need for solutions that provide commercial viability & performance. Read (Watch the YouTube Video Below) About a New Energy Storage Company ~ Making Energy Dense, Flexible Form, Rapid Charge/ Re-Charge Super Capacitors and Batteries for Medical Devices, Drone Batteries, Power Banks, Motorcycle and EV Batteries, developed from a Rice University Technology using ‘Nanoporous Nickle’ and ‘Si Nano Wires. An interdisciplinary team of scientists has worked out a way to make electric vehicles that are not only carbon neutral, but carbon negative, capable of actually reducing the amount of atmospheric carbon dioxide as they operate. They have done so by demonstrating how the graphite electrodes used in the lithium-ion batteries that power electric automobiles can be replaced with carbon material recovered from the atmosphere. The recipe for converting carbon dioxide gas into batteries is described in a paper published in the March 2 issue of the journal ACS Central Science (“Carbon Nanotubes Produced from Ambient Carbon Dioxide for Environmentally Sustainable Lithium-Ion and Sodium-Ion Battery Anodes”). “Our climate change solution is two fold: To transform the greenhouse gas carbon dioxide into valuable products and to provide greenhouse gas emission-free alternatives to today’s industrial and transportation fossil fuel processes,” Stuart Licht, professor of chemistry at George Washington University said. “In addition to better batteries other applications for the carbon nanotubes include carbon composites for strong, lightweight construction materials, sports equipment and car, truck and airplane bodies.” The unusual pairing of carbon dioxide conversion and advanced battery technology is the result of a collaboration between Dr. Licht, and the laboratory of assistant professor of mechanical engineering Cary Pint at Vanderbilt University. Licht adapted the lab’s solar thermal electrochemical process (STEP) so that it produces carbon nanotubes from carbon dioxide and with Pint by incorporating them into both lithium-ion batteries like those used in electric vehicles and electronic devices and low-cost sodium-ion batteries under development for large-scale applications, such as the electric grid. 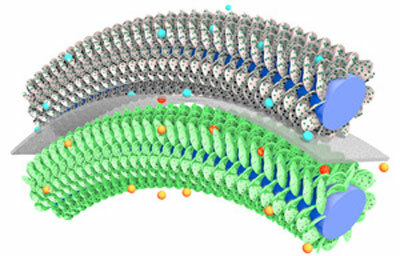 In lithium-ion batteries, the nanotubes replace the carbon anode used in commercial batteries. The team demonstrated that the carbon nanotubes gave a small boost to the performance, which was amplified when the battery was charged quickly. In sodium-ion batteries, the researchers found that small defects in the carbon, which can be tuned by STEP, can unlock stable storage performance over 3.5 times above that of sodium-ion batteries with graphite electrodes. Most importantly, both carbon-nanotube batteries were exposed to about 2.5 months of continuous charging and discharging and showed no sign of fatigue. Published on Feb 25, 2016: Video interview with Cary Pint explaining this research. Scientists from Vanderbilt and George Washington universities have worked out a way to make electric vehicles not just carbon neutral but carbon negative by demonstrating how the graphite electrodes used in the lithium-ion batteries can be replaced with carbon recovered from the atmosphere. The researchers estimate that with a battery cost of $325 per kWh (the average cost of lithium-ion batteries reported by the Department of Energy in 2013), a kilogram of carbon dioxide has a value of about $18 as a battery material – six times more than when it is converted to methanol – a number that only increases when moving from large batteries used in electric vehicles to the smaller batteries used in electronics. And unlike methanol, combining batteries with solar cells provides renewable power with zero greenhouse emissions, which is needed to put an end to the current carbon cycle that threatens future global sustainability. Licht also proposes a modified flue system for combustion plants that incorporates this process could be self-sustaining, as exemplified by a new natural gas power plant with zero carbon dioxide emissions. That’s because the side product of the process is pure oxygen, which plants could then use for further combustion. The calculated total cost per metric tonne of CNTs would be much less expensive than current synthetic methods. “This approach not only produces better batteries but it also establishes a value for carbon dioxide recovered from the atmosphere that is associated with the end-user battery cost unlike most efforts to reuse CO2 that are aimed at low-valued fuels, like methanol, that cannot justify the cost required to produce them,” said Pint. While lithium-ion batteries have transformed our everyday lives, researchers are currently trying to find new chemistries that could offer even better energy possibilities. One of these chemistries, lithium-air, could promise greater energy density but has certain drawbacks as well. Now, thanks to research at the U.S. Department of Energy’s (DOE’s) Argonne National Laboratory, one of those drawbacks may have been overcome (Nature, “A lithium–oxygen battery based on lithium superoxide”). The lattice match between LiO2 and Ir3Li may be responsible for the LiO2 discharge product found for the Ir-rGO cathode material. All previous work on lithium-air batteries showed the same phenomenon: the formation of lithium peroxide (Li2O2), a solid precipitate that clogged the pores of the electrode. In a recent experiment, however, Argonne battery scientists Jun Lu, Larry Curtiss and Khalil Amine, along with American and Korean collaborators, were able to produce stable crystallized lithium superoxide (LiO2) instead of lithium peroxide during battery discharging. Unlike lithium peroxide, lithium superoxide can easily dissociate into lithium and oxygen, leading to high efficiency and good cycle life. The major advantage of a battery based on lithium superoxide, Curtiss and Amine explained, is that it allows, at least in theory, for the creation of a lithium-air battery that consists of what chemists call a “closed system.” Open systems require the consistent intake of extra oxygen from the environment, while closed systems do not — making them safer and more efficient. “The stabilization of the superoxide phase could lead to developing a new closed battery system based on lithium superoxide, which has the potential of offering truly five times the energy density of lithium ion,” Amine said. Curtiss and Lu attributed the growth of the lithium superoxide to the spacing of iridium atoms in the electrode used in the experiment. “It looks like iridium will serve as a good template for the growth of superoxide,” Curtiss said. A team of researchers working in China has found a way to dramatically improve the energy storage capacity of supercapacitors—by doping carbon tubes with nitrogen. In their paper published in the journal Science, the team describes their process and how well the newly developed supercapacitors worked, and their goal of one day helping supercapacitors compete with batteries. Like a battery, a capacitor is able to hold a charge, unlike a battery, however, it is able to be charged and discharged very quickly—the down side to capacitors is that they cannot hold nearly as much charge per kilogram as batteries. The work by the team in China is a step towards increasing the amount of charge that can be held by supercapacitors (capacitors that have much higher capacitance than standard capacitors—they generally employ carbon-based electrodes)—in this case, they report a threefold increase using their new method—noting also that that their supercapacitor was capable of storing 41 watt-hours per kilogram and could deliver 26 kilowatts per kilogram to a device. The new supercapacitor was made by first forming a template made of tubes of silica. The team then covered the inside of the tubes with carbon using chemical vapor deposition and then etched away the silica, leaving just the carbon tubes, each approximately 4 to 6 nanometers in length. Then, the carbon tubes were doped with nitrogen atoms. Electrodes were made from the resulting material by pressing it in powder form into a graphene foam. The researchers report that the doping aided in chemical reactions within the supercapacitor without causing any changes to its electrical conductivity, which meant that it was still able to charge and discharge as quickly as conventional supercapcitors. The only difference was the dramatically increased storage capacity. Because of the huge increase in storage capacity, the team believes they are on the path to building a supercapacitor able to compete directly with batteries, perhaps even lithium-ion batteries. They note that would mean being able to charge a phone in mere seconds. But before that can happen, the team is looking to industrialize their current new supercapacitor, to allow for its use in actual devices. Carbon-based supercapacitors can provide high electrical power, but they do not have sufficient energy density to directly compete with batteries. We found that a nitrogen-doped ordered mesoporous few-layer carbon has a capacitance of 855 farads per gram in aqueous electrolytes and can be bipolarly charged or discharged at a fast, carbon-like speed. The improvement mostly stems from robust redox reactions at nitrogen-associated defects that transform inert graphene-like layered carbon into an electrochemically active substance without affecting its electric conductivity. These bipolar aqueous-electrolyte electrochemical cells offer power densities and lifetimes similar to those of carbon-based supercapacitors and can store a specific energy of 41 watt-hours per kilogram (19.5 watt-hours per liter).